12 Delicious Mother's Day Recipes + 1 "Momosa" Bar — Pip and Ebby - easy, delicious recipes! Mothers deserve to be treated to time with loved ones, delicious appetizers, a good meal and delicious treats. Show MOM some love by preparing food for her! Below are some excellent ways to shower love on the mom in your life with an assortment of irresistible recipes. This is the perfect centerpiece to begin your mother’s day gathering. Make your own mimosa, sit down and share conversation over these fruity cocktails and let the day of loving on moms begin! Mainly Homemade will walk you through how to ensure your “momosa” stand is stocked properly! These fun finger foods with Nutella tucked between them are a must at your celebration! Taking a spin on your everyday pancakes and bringing them to the next level is what Fresh Direct has done here! Garlic and Zest introduces you to this beautifully baked quiche filled with all kinds of perfectly paired savory ingredients. It’s easy to make and will be a perfect food over good conversation. You need a filling, hearty meal before enjoying a decadent treat! These are beautifully presented and look so light and delicious. 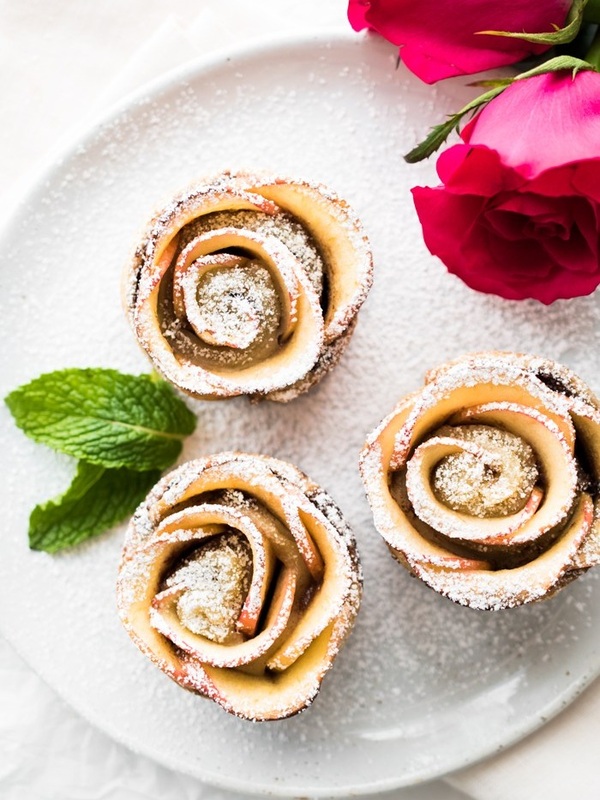 Hapa Nom Nom is sure that these are easy to make and filled with a perfect combination of apples and nutella while baked into the puff pastry cup. They look great and a few will pop into your mouth easily! A good homemade Tzatziki sauce just might hit the spot for some moms with this flavorful vegetarian meal. Live Eat Learn highlights the benefits of making chickpeas a meal and how easy it can be done. Her presentation is also wonderful! This is such a fragrant sounding recipe name but it also just looks delicious! 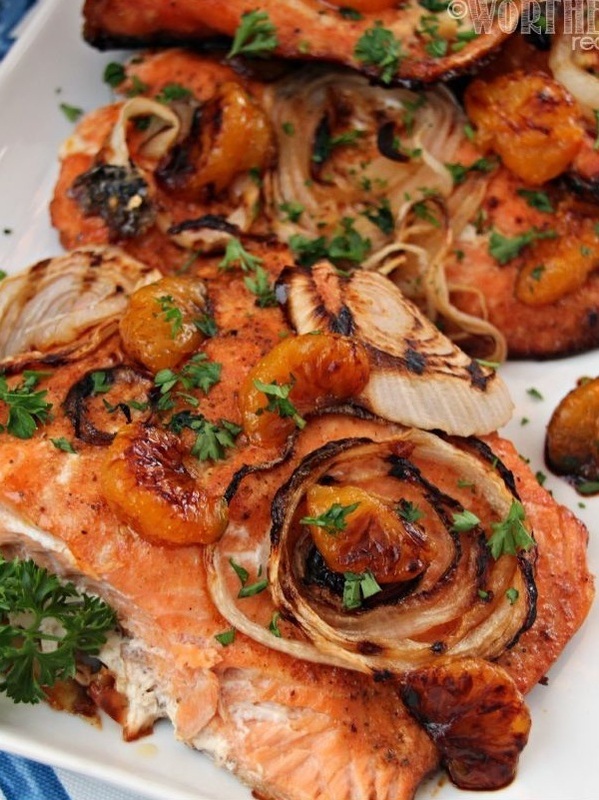 Fans of salmon should be tickled to make this and it’s all put together and ready to serve in just 30 minutes! Let This Worthey Life give you the scoop on how it all came to life and how it’s going to be a memorable recipe once you taste it. Please do not buy these for your loved one. Please know you can MAKE these for your mom (and self!) Every year the beautiful ads selling chocolate covered fruit sells many on this purchase. While it’s true you can buy them, Life Love Liz lets you know how to do it yourself! It’s a lot more affordable and the gift is in your time doing it. Simple! What? This recipe is simple. But delicous. But flavorful. But yummy. And that glaze caught your attention didn’t it? The Kitchen Sanctuary takes a delicious buttery flaky croissant and fills it up to make it the perfect finger sandwich to share with you mom and loved ones! It’s NO fun having that someone special in our life that we want to celebrate and cannot find a treat they can enjoy! Swing over to the page of Leelalicious to find out how to make this beautiful, decadent looking dessert full of chocolate and amazing fruit! I definitely want to try a bite of this! 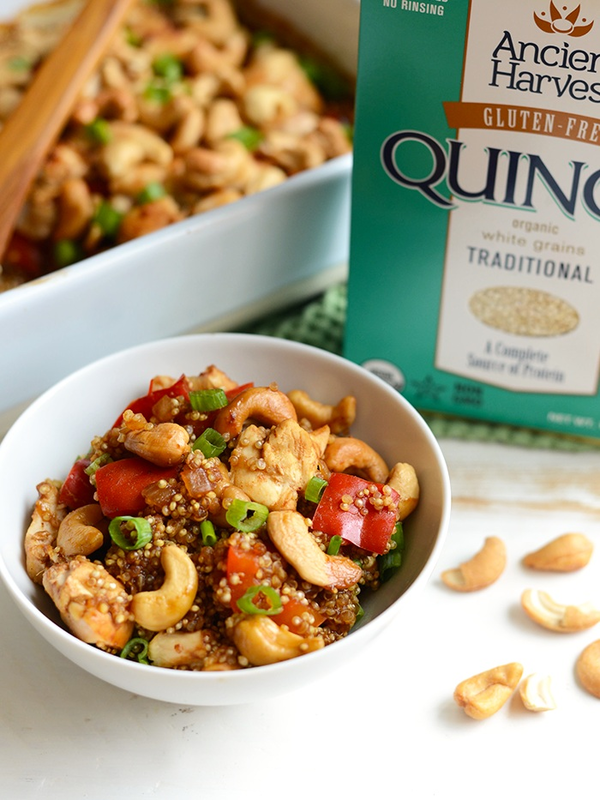 Skip the take out and put together this casserole dish of a favorite take-out flavor.. With this recipe by Fit Foodie Finds, you’ll have a healthy meal to share with others, but a better version! Enjoy all kinds of tasty flavors you usually only grab in take-out! Here is a classic dessert that many moms will remember making. It’s easier and tastier than remembered, so here’s a great recipe from Simply Recipes you can WOW everyone with! Those fresh sweet strawberries over a couple of biscuits will delight. Enjoy! These dainty little cupcakes are small in space but big in yum! You can share them with your mom, sisters, dad, friends or anyone enjoying the celebration. They are also perfect on the go! Greedy Gourmet will help you create these perfect treat and not be afraid to put together a pretty treat for loved ones.